It’s bad enough that a DUI conviction can wipe out your bank account or drive up your credit card bill. Between the fines, court costs and other associated expenses—like DUI driver school tuition and added commuting costs—you could pay as much as $7,500 out of pocket. But you could also face a longer-term problem of unemployment. When you lose your job because of a DUI or struggle to get a new one afterwards, it adds insult to injury. If you’ve been earning some extra cash as an Uber or a Lyft driver, you’ll have to find another way to fill your wallet. Uber is already fairly picky about DUIs on a driving record; in California, Uber won’t even hire you if your record shows that you’ve had a DUI within the last 10 years. But what if you’ve been working as an Uber driver, and then you get a DUI? Will you be able to keep driving? You may be able to postpone the inevitable for a little while, but you’d better start looking for another job. 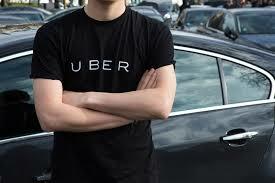 According to the website ridesharingdriver.com, Uber conducts background checks on its current drivers every 18 to 24 months. Once Uber sees that new DUI on your driving record, you’ll be out of luck and out of work. Lyft is a little less strict with its DUI policy. Lyft may approve you to drive for them if it’s been more than seven years since your DUI conviction, assuming you don’t have any other red flags on your record. But if you do get a DUI conviction after you’ve started working for them, Lyft will catch up with you (and fire you) faster than Uber. They do background rechecks every year. Even if you know that it’s coming, the final kicker may be that Uber gives you little or no warning that you’re now unemployed. You may get an email from the service stating that you’re now deactivated as an Uber partner, but many people find out that Uber is finished with them when they try to log into the Uber Driver app and find out that their account has been disabled. If you have a commercial driver’s license (CDL) and drive a big rig, a school van or a city bus, it’s even easier to lose your job. The state holds drivers with CDLs to a higher standard than non-commercial drivers. Most people don’t have to be worried about a charge of driving under the influence until their blood alcohol concentration (BAC) is 0.08 percent or higher. But California, like many other states, has adopted the Federal Motor Carrier Safety Administration (FMCSA) recommendation that 0.04 percent be adopted as the limit for BAC for a commercial driver. It doesn’t matter whether you’re driving a commercial vehicle or your personal vehicle, whether you’re on the company clock or simply enjoying your free time. If the police pull you over, see that you have a CDL, and find that your BAC is 0.04 percent, they’ll charge you with DUI. If the courts convict you of the DUI, you automatically lose your CDL for a full year, meaning you won’t be able to drive any large commercial vehicles during that time. If your employer requires that you have a commercial driver’s license, you’ve just lost your job. Unlike non-commercial drivers, who can apply for a restricted license to get to and from work, you can’t get a restricted license if you’re a CDL license holder. You can reapply for a CDL after the year’s suspension, but be careful. Another DUI conviction will strip you of your CDL for life! That cuts off a whole range of employment options for you. If you’re a physician, dentist, nurse or any professional licensed by one of California’s boards, you may not automatically lose your license if you get a DUI, but you could certainly be at risk of losing your livelihood. It all depends on the board that issues your license, their policies and (usually) the circumstances of your arrest. But what is a crime that’s substantially related to your duties? Each licensing board can set its own rules, even if they don’t make sense. What if you’re a physician who got picked up one time for a DUI while celebrating a special occasion on you own time? Does that one mistake really affect your ability to carry out your professional duties? The Medical Board of California has sometimes suspended a physician’s license after just one DUI incident. The Board may argue that a DUI can demonstrate a pattern of behavior, that the physician has drinking problem that could impact the safety of his/her patients. In making its determination, the Board will look at the severity of the DUI incident—did it cause an accident or a death? They’ll also examine the physician’s previous record for signs that the physician has an ongoing problem with alcohol. Even professionals who make it through the Medical Board’s hearing with their license intact can find themselves exhausted by the process. Consider one recent case, the details of which were released by the Medical Board of California in January 2017. Just listing the amount of work that this physician had to go through to prove his fitness consumed 16 pages. He had to show his compliance with court-ordered requirements, including driving school, home detention and therapy sessions, and find character witnesses to testify on his behalf before the Board decided to reprimand him rather than take away his medical license. You don’t have to be a physician or a commercial driver with a job that has a real impact on public safety to lose your position after a DUI conviction. And chances are good that if you’re looking for another job, it’s going to be harder to get one. California law bars potential employers from asking you during employment interviews about any arrest (including a DUI) that didn’t result in a conviction. If they find out about that DUI arrest, they’re not permitted to make their hiring decision based on that arrest. Bottom line: a DUI conviction can profoundly impact your livelihood, so it’s essential to explore your strategic defense options as soon as possible. Contact the experienced DUI defense attorneys at the Kraut Law Group for insight into your next steps.